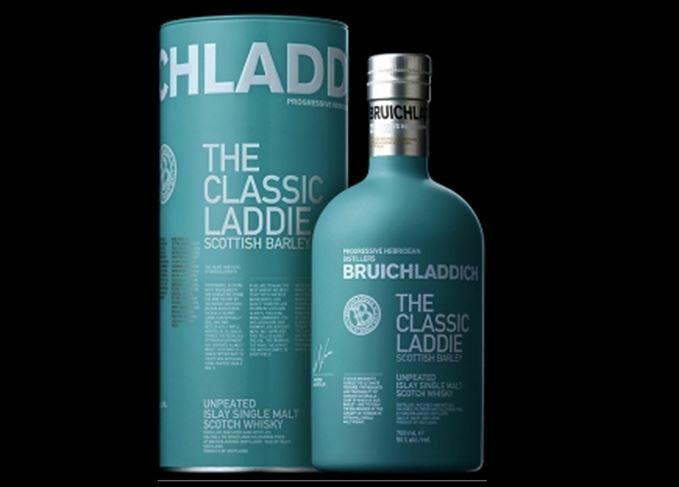 Bruichladdich has emphasised that it ‘has no intention of breaking any laws’ by publishing the recipe of The Classic Laddie next month. The recipe for The Classic Laddie will be made available to consumers in April, although the legality of such a move is questionable. In its mission to campaign for greater transparency in Scotch whisky, Bruichladdich has pledged to make the cask recipe of its flagship NAS (no age statement) single malt available to purchasers, despite doubts over the legality of such a move. From April, consumers will be able to enter the batch code from their bottle’s label into a special field on the product page of Bruichladdich’s website to gain access to the full cask breakdown of the expression. The information will include details of the number of casks of each type used, the vintage, the spirit type, the cask type and bottling date. In a letter due to be published on Bruichladdich’s website later today [see below], CEO Simon Coughlin underlined the company’s commitment to providing greater transparency while adhering to the law. ‘Recognising the restrictions imposed on us by current legislation, the information provided on The Classic Laddie bottle, packaging and advertising is not going to change,’ he wrote. ‘There is no intention to purchase advertising or to commission a marketing campaign to promote the fact that we are making this information available. While the group has confirmed its move has the full support of French owner Rémy Cointreau, the Scotch Whisky Association (SWA) has queried whether the move is still in violation of UK and EU law that prohibits the marketing of a whisky’s age other than the youngest in a vatting. David Frost, chief executive of the SWA, said: ‘The rules on age statements apply to the "presentation" of a spirit drink. This is widely defined in the law, as, for example, terms used in labelling and advertising, or on the container and imagery. Coughlin added that the decision to release more information about the vatting of the Classic Laddie had been in the pipeline for sometime, but the ‘serendipitous’ timing of Compass Box’s campaign launch encouraged the group to bring the date forward. The Islay distillery published its support of Compass Box’s petition on the Bruichladdich website last week. so clearly explained. The extraordinarily positive response to our backing of Compass Box has underlined the level of popular support we enjoy over this. We had not spoken to Compass Box prior to the launch of their campaign, however you have probably been able to infer that our support was not offered entirely spontaneously. We had been planning to release more information about the vatting of The Classic Laddie for some time – and the timing of the launch of the Compass Box campaign was simply serendipitous. We were therefore able to act immediately on recognition of our common cause. that Bruichladdich has no intention of breaking any laws. Recognising the restrictions imposed on us by current legislation, the information provided on The Classic Laddie bottle, packaging and advertising is not going to change. There is no intention to purchase advertising or to commission a marketing campaign to promote the fact that we are making this information available. We are not even going to publish this information in a form that can be accessed by a casual visitor to our website. The information will only be available in response to a request from a third party who has access to the batch codes, i.e. typically someone who owns a bottle of The Classic Laddie. be provided with the recipe pertinent to that vatting. The information will comprise the bottling date, the number of casks of each type used, the vintage, the spirit type and the cask type. We have no intention of publishing the batch numbers anywhere other than on the bottles. We hope this provides clarity on our position as we move towards the release of this information during April 2016. A mysterious algorithm conjures a link between the transparency-loving blender and psychedelia.